The Ringer’s offseason live blog will keep track of the deals, trades, cuts, rumors, predictions, and everything else you need to know about free agency and the draft. Check back for the latest news from around the league both ahead of the so-called legal tampering period (which begins on Monday, March 11) and after players can begin signing (Wednesday, March 13). Danny Heifetz: The Dallas Cowboys and defensive end Demarcus Lawrence have agreed on the parameters of a five-year contract extension with $65 million guaranteed and a maximum value of $105 million, NFL Network’s Ian Rapoport and Mike Garafolo reported on Friday. According to Garafolo, Lawrence’s compensation in 2019, which includes the signing bonus and his salary for the season, will be the most money a defender has ever received in the first year of a contract, surpassing the $31 million Khalil Mack earned last year. Lawrence is the team’s best pass rusher and one of the top defensive linemen in the league. Dallas franchise-tagged Lawrence for the second consecutive season in March, but Lawrence had said he didn’t want to play on another one-year deal. Now he and the team have agreed to an extension in time for him to report to Dallas’s offseason activities, which will commence on April 15, without any contract issues. Lawrence’s new deal is just the first of a few offseason dominoes Dallas will have to address. Receiver Amari Cooper is entering the final year of his contract, and considering Dallas traded a first-round pick for him at last year’s deadline, the team is unlikely to let him leave in free agency. Even more importantly, quarterback Dak Prescott is entering the final year of his (ridiculously cheap) contract, and Jerry Jones has said the team will ensure Prescott stays. Ezekiel Elliott is under team control for two more seasons, but chief operating officer and executive vice president Stephen Jones said at the combine that the team will seek to extend him. Heifetz: The Browns have traded defensive end Emmanuel Ogbah to the Kansas City Chiefs for defensive back Eric Murray, NFL Network’s Ian Rapoport reported on Monday. Both players were drafted in 2016 and are in the final year of their contract. Cleveland took Ogbah with the first pick of the second round in 2016, but he failed to live up to expectations in Cleveland. His production has decreased for three consecutive seasons, from 5.5 sacks as a rookie to 4.0 sacks in 10 games in 2017 to 3.0 sacks in 14 games in 2018. When the Browns acquired Giants pass rusher Olivier Vernon in a trade last month, Ogbah became expendable. He did not report to voluntary activities on Monday in anticipation of being dealt. Browns general manager John Dorsey used to have the same role in Kansas City, and Murray is the latest former Chief the Browns have added after signing Kareem Hunt earlier this offseason. In Ogbah, the Chiefs acquire a talented but unproductive pass rusher for a fairly cheap return. The Chiefs released pass rusher Justin Houston and traded the franchise-tagged Dee Ford to the 49ers last month, leaving them barren on the edges. They signed pass rusher Alex Okafor away from New Orleans and have now traded for Ogbah, but whether Kansas City’s defense will get similar production from their pass rush or see a dropoff is suddenly one of the biggest questions of the 2019 season. As for the Browns, well, it’s hardly the biggest news of their afternoon. Heifetz: Count this as a win for the “running backs don’t matter” crowd. The Bears have traded Jordan Howard to the Eagles for a 2020 conditional sixth-rounder that could become a 2020 fifth-rounder depending on his performance, ESPN’s Adam Schefter reported on Thursday. For Philadelphia, Howard will replace Jay Ajayi, who tore his ACL last year and is still a free agent. Howard joins returning Eagles running backs Wendell Smallwood, Corey Clement, and Josh Adams, none of whom truly established themselves in 2018 in Ajayi’s absence. Howard is unlikely to see nearly as many carries as he got in Chicago, and he might become an afterthought in real and fantasy football unless he beats out Smallwood, Adams, and Clement for touches. Heifetz: The Cowboys have signed a pass rusher to a new contract, and no, it’s not Demarcus Lawrence. Dallas traded for Dolphins pass rusher Robert Quinn, NFL Network’s Ian Rapoport reported Thursday. What Miami is getting in return is unclear, though Rapoport said it is likely a late-round pick in a future draft. Quinn, who had one year and $12.9 million of non-guaranteed money left on his contract, agreed to a restructured deal with the Cowboys for a still-unknown amount. Quinn will fill an important hole on the Cowboys roster this season. Two Dallas defensive linemen—Randy Gregory and David Irving—have been suspended indefinitely for violating the league’s substance abuse policy, and it is unclear whether either will play in 2019. That could leave the franchise-tagged Lawrence as the only true starting-caliber pass rusher on the roster, though he has yet to sign his tender and negotiations are currently at an “impasse,” said Stephen Jones, son of Jerry. Assuming the Cowboys do bring back Lawrence in 2019, whether on the tag or with a multiyear contract, he’ll have someone who can complement him on the other side of the line, but also someone in decline. Quinn racked up 19.0 sacks in a career year in 2013, but he has 19.0 sacks in the last three seasons combined. The Rams traded Quinn to Miami last year for a fourth-rounder and a sixth-round-pick swap, and now the Dolphins have cut bait after just one season for likely even less than that. (The Dolphins had been shopping Quinn so hard that they let him visit New Orleans and Dallas this offseason as if he were a free agent.) Dallas didn’t have the cap room to sign a great pass rusher, nor the first-round pick to draft one after the Amari Cooper trade, so Quinn may have been the best among a bunch of tertiary options (which include free-agent pass rusher Ziggy Ansah). Quinn is talented enough to get Dallas fans excited and inconsistent enough to make Cowboys fans frustrated—in other words, he’ll be perfect. Heifetz: Last offseason the Los Angeles Rams bet on themselves by signing Ndamukong Suh; trading for Brandin Cooks, Aqib Talib, and Marcus Peters; and handing out massive extensions to Todd Gurley and Aaron Donald. This year, the Rams have taken an even bigger gamble: They’ve signed Blake Bortles. The former Jacksonville Jaguar cult hero has signed a deal to be Jared Goff’s backup in Los Angeles, according to ESPN’s Jeff Darlington. Sean McVay’s reputation as the smartest offensive mind in the NFL took a massive hit after the Rams’ humiliating Super Bowl loss to the Patriots last month, but if Bortles takes over for any reason, McVay could recapture that glory. Bortles is half-man and half-meme, and he’d 100 percent seal McVay’s legacy if he looks elite in Goff’s absence. This could be the boldest move yet by a franchise unafraid to make bold moves. It’s a tremendous loss for the fans who wanted to see Bortles flail in the AAF, but it’s a miracle for those who wanted his NFL career to continue. Suddenly, Bortles running McVay’s offense in the Rams preseason games will become must-watch television. If Goff struggles in 2019 as much as he did in the Super Bowl, and the Rams still haven’t signed him to an extension in 2020, perhaps Bortles will take over as the Rams starting quarterback just so McVay can prove once and for all he is, in fact, a genius. Danny Heifetz: Ever since Ryan Fitzpatrick donned DeSean Jackson’s clothes for his Week 2 postgame press conference, he appeared destined for Miami, not Tampa Bay. On Sunday that fate became a reality. Two days after the Dolphins traded Ryan Tannehill to the Tennessee Titans for some mid- and late-round draft picks, Miami general manager Chris Grier added some Fitzmagic to the Dolphins’ 2019 season. Fitzpatrick has agreed to a two-year contract with $11 million and incentives (likely based on performance and playing time) that could take the contract as high as $20 million, according to ESPN’s Adam Schefter. After dealing Tannehill, Miami’s only two quarterbacks on the roster were 2016 sixth-round pick Jake Rudock and 2018 sixth-round pick Luke Falk. Fitzpatrick can add his roller-coaster quarterback play (and hopefully continue his brief stint as a fashion icon) and he gives the team flexibility. If the Dolphins draft a quarterback in April, Fitz is a perfectly serviceable Week 1 starter who could easily be benched midway through the season if the new guy is deemed ready. He’s also competent enough to lead Miami through all of 2019 if the team opts to wait until the 2020 draft to target a QB—which is probably the best move in a rebuild that Dolphins owner Stephen Ross said would take multiple seasons. Fitzpatrick may not see the same highs as he did last season: In his seven starts, he threw for the fourth-most passing yards per game in the league (295.8) after Ben Roethlisberger, Patrick Mahomes II, and Matt Ryan. That career-high mark came in a Tampa offense orchestrated by then-offensive coordinator Todd Monken, who is now in Cleveland. A repeat of Fitz’s resurgence is deeply unlikely, especially with less talented offensive skill players in Miami, but his arrival ensures that the Dolphins won’t be boring. Justin Sayles: The Miami Dolphins have cut bait on Ryan Tannehill by trading him to the Tennessee Titans, the quarterback’s agency announced on Friday. The Dolphins will receive a 2019 seventh-round pick and a 2020 fourth-rounder in the deal, and will also send the Titans a 2019 sixth-rounder, according to ESPN’s Adam Schefter. To facilitate the trade, Tannehill reportedly agreed to a restructured one-year contract. Tannehill, 30, was picked eighth overall in the 2012 draft, but never emerged as a star during his seven years in Miami. The Texas A&M product never made a Pro Bowl, and while he threw for more than 4,000 yards in 2014 and 2015, he’s struggled to stay on the field in the three seasons since. He missed the entire 2017 campaign after tearing the ACL in his left knee in a preseason practice, and a shoulder injury kept him out of five games in 2018. He finished last season with a 92.7 passer rating—20th in the league among qualified quarterbacks—as Miami missed the playoffs for the sixth time since he joined the team. This move signals that Miami is in full rebuilding mode. Over the past few weeks, the team has released a slew of veteran contributors in an apparent youth movement under new head coach Brian Flores. The Dolphins have the 13th overall pick in this spring’s draft and likely lack the assets to move up to take Kyler Murray or Dwayne Haskins, so they may be inclined to tank this fall for a high draft pick in 2020, when Alabama’s Tua Tagovailoa and Oregon’s Justin Herbert are expected to be available. In Tennessee, Tannehill will back up Marcus Mariota, another high-first-round pick who has struggled with injuries. The 25-year-old missed three games in 2018 because of an elbow injury as the Titans finished 9-7 for the third consecutive season. Mariota, who will play on his fifth-year option in 2019, is set to be an unrestricted free agent after this year. Danny Heifetz: Classic breakup rebound. The Giants have signed former Eagles, Lions, and Seahawks receiver Golden Tate to a four-year deal with $23 million fully guaranteed and worth as much as $37.5 million, ESPN’s Adam Schefter reported on Thursday. The move comes just two days after the team traded Odell Beckham Jr. to the Browns for a first-rounder, a third-rounder, and safety Jabrill Peppers. Tate is excellent in the open field, makes circus-catch touchdowns, and may or may not have been a major distraction in past locker rooms. In other words, the closest version of Beckham the team could find in time for the weekend. Tate will never fill the Odell-sized hole in Giants’ fans hearts, though he is one of the most elusive receivers in football, tied for 17th among all wide receivers in average yards after the catch above expectation, per NFL Next Gen Stats. He was traded to the Eagles from the Lions last season for a third-rounder while he was in the last year of a five-year deal. He didn’t make a major impact in Philadelphia, where he was tasked with learning the playbook and developing chemistry with Carson Wentz midseason. Tate left Seattle to be the no. 2 option behind Calvin Johnson in Detroit. Ironically, his skill set at this point in his career could have made him a perfect fit next to Beckham. Before the deal, the Giants were set to spend the least amount of money on wide receivers of any team in the league except the Steelers, who also traded away their star receiver. But that money only accounts for cash flow, and the Giants’ $16 million cap charge on Beckham this season as he plays for the Browns will almost certainly be more than Tate’s cap figure this season. Tate might be a good player for the Giants, but just like any rebound, he’ll always be a reminder of the person he replaced. Heifetz: Blake Bortles is no longer a Jaguar. Jacksonville released him on Wednesday, the first day of the league year, the team announced on Twitter. Bortles will be replaced by Nick Foles, and it’s unclear where (or whether) he’ll get another NFL opportunity. The Jaguars seemed like they might be ready to move on from Bortles in 2018, but a wrist injury triggered an injury guarantee on his $19 million salary. The team responded by tearing up that deal and signing him to a three-year, $54 million extension that cut his 2018 cap hit to $10 million. As a consequence of that deal, the team will eat $16.5 million in dead money already paid to him that will count against the cap this season. Foles will reportedly make $22 million to lead the team this year. While the Jaguars can replace Bortles as quarterback, the internet may not ever replace the Bortles-size hole left in our Twitter jokes. He was not a good quarterback, but he was an excellent sport about becoming a living meme. Sayles: The Chiefs have released five-time Pro Bowler Eric Berry, ESPN’s Adam Schefter reported on Wednesday. The 30-year-old safety was cut before his $7.25 million salary for 2019 became fully guaranteed on Friday, Schefter said. He had just finished the second year of a six-year, $78 million contract which ultimately paid him $30 million. Berry is the latest longtime Kansas City defender to be sent out of town this offseason. On Tuesday, the Chiefs traded franchise-tagged linebacker Dee Ford to 49ers, and just two days before that, they released four-time Pro Bowler Justin Houston. The moves follow a season in which Kansas City’s offense led the league in both total yards and points per game but the finished 26th in defensive DVOA. The Chiefs lost the AFC championship game after failing to stop the Patriots on the first drive of overtime, and coordinator Bob Sutton and most of the defensive staff was fired shortly thereafter. Selected fifth overall in the 2010 draft, Berry had been one of Kansas City’s most popular players this decade. He was a star on the field, earning first-team All-Pro honors three times, and he overcame adversity off of it. Late in the 2014 season, he was diagnosed with Hodgkin’s lymphoma, but he was able to return and start 15 games the next year. However, his last two seasons ended prematurely in heartbreaking fashion: He tore his ACL in Week 1 of the 2017 season, and a heel injury cost him all but two games in 2018. Despite the Chiefs’ recent run of success, he’s appeared in just three playoff games, all losses. Kansas City won’t be without a recognizable name at the safety position, however: The team agreed to a three-year deal worth up to $42 million with Tyrann Mathieu on Monday. Since Mathieu, Landon Collins, Earl Thomas, Adrian Amos, and Lamarcus Joyner all reached agreements with teams ahead of free agency opening on Wednesday, Berry will be the biggest name on the market. The question will be whether teams will offer him a deal similar to what those players received given his recent injury history. Heifetz: The Ravens are flying high. Earl Thomas is set to sign a four-year, $55 million deal for $32 million fully guaranteed with the Baltimore Ravens, ESPN’s Adam Schefter reported. Less than 15 minutes after the Thomas news broke, Schefter and his colleague Dianna Russini reported that the Ravens plan to sign former New Orleans running back Mark Ingram to a three-year contract with an unknown guaranteed figure worth a maximum of $15 million. The Ravens released safety Eric Weddle last week despite his contributions to Baltimore’s playoff run. The move makes sense now that the Ravens have Thomas, the best safety of the 2010s. The move comes one month after Baltimore great Ed Reed, the best safety of the 2000s, was named to this year’s Pro Football Hall of Fame class. Thomas’s skill set marries rare processing speed to diagnose plays with a physical speed that gives him uncommon range across the field. He’ll turn 30 in May and is coming off a broken leg that ended his 2018 season with Seattle, but if he is anywhere close to the player he was when he was healthy last year, he’ll return to being the league’s best safety. In Thomas’s last full game, he intercepted Cowboys quarterback Dak Prescott twice, including one that all but sealed the Seahawks victory. Thomas famously said to Cowboys head coach Jason Garrett after their game on Christmas Eve 2017 that if he ever left Seattle he wanted Dallas, his favorite team, to come get him. But the Cowboys were likely hoping they could sign Thomas for a hometown discount, whereas the Ravens ponied up. The $32 million guaranteed at signing is over $6 million more than Landon Collins agreed to with Washington earlier this week. The Ingram signing is also a notable move for new Ravens GM Eric DeCosta. The deal comes two weeks after running back Alex Collins was waived following an arrest due to an early-morning car crash March 1. Collins fell out of favor as rookie Gus Edwards better handled exchanges on read-options with Lamar Jackson. The Ravens led the league in rush attempts in 2018, but relied on Jackson and Edwards, two raw rookies; Jackson led the league in fumbles. Ingram will provide crucial experience for a backfield that could very well lead the league in rush attempts again this season. Ingram was considered a candidate to return to New Orleans, where he’s played since the Saints drafted him 28th overall in 2011, after he became the first Alabama player to win the Heisman trophy. But New Orleans agreed to a deal with bruising running back Latavius Murray on Tuesday. At 6-foot-3, Murray is 6 inches taller than Ingram and will provide a more physical complement to Alvin Kamara, and Ingram will give the Ravens offense with Lamar Jackson a new look. Sayles: Free-agent running back Le’Veon Bell has a new home: the New York Jets, ESPN’s Adam Schefter reported early Wednesday. The agreement—four years for $35 million guaranteed and a maximum value of $61 million—ends one of the NFL’s longest-running dramas. The 27-year-old Bell sat out the entirety of the 2018 season after the Steelers used the franchise tag on him for a second consecutive year. He was in line to make $14.54 million, but after touching the ball 1,541 times in the first five seasons of his career, Bell said he wanted to avoid another 400-touch season and enter free agency fresh. His decision provoked some stern remarks from teammates, and he’ll ultimately make less on a per-year basis than he would’ve on the tag last year, but he got his wish. In Bell, the Jets are getting one of the most productive running backs in NFL history while he should still be in his prime. Bell has racked up 7,996 yards from scrimmage—more than any other NFL player since 1950 through the first 62 games of a career. In 2017, the last season in which he played, he rushed for 1,291 yards, caught 85 passes for 655 yards, and had 11 total touchdowns. He was named a first-team All-Pro for the second time in his career. The Jets, who entered the offseason with plenty of cap space, were long speculated to be a potential landing spot for Bell, but ironically, they may not have been in position to make the deal had they not had a little bit of bad luck on Tuesday: After Anthony Barr verbally agreed to terms with the team, the linebacker reneged and decided to return to Minnesota on a long-term deal. Freeing up that money may ultimately prove serendipitous for new head coach Adam Gase and his second-year quarterback, Sam Darnold: One year after the Jets finished 29th in offensive DVOA, it looks like they’ll be adding one of the most versatile offensive players in league history. The timing of the deal may also be good news on another front for Bell: It should help with promotion of his new mixtape, Life’s a Gamble, which dropped at midnight ET on Wednesday. Maybe his bet on himself did pay off. Sayles: The San Francisco 49ers have agreed to trade a 2020 second-round pick for franchise-tagged Kansas Chiefs linebacker Dee Ford, Sports Illustrated’s Albert Breer reported Tuesday. Ford and his new team will still need to work out a new contract. Ford, who turns 28 next week, had a breakout 2018, accumulating 13 sacks and seven forced fumbles—both career highs—while making his first Pro Bowl. According to Pro Football Focus, he led edge defenders in QB pressures with 84. Trading the 2014 first-round pick is part of the Chiefs’ massive defensive overhaul. After losing the AFC title game when they failed to stop the Patriots on the first drive of overtime, the team fired coordinator Bob Sutton and most of the defensive staff. On Sunday, the team released linebacker Justin Houston after failing to find a trade partner for him and his $15.25 million 2019 base salary. They also agreed to a three-year deal worth up to $42 million with safety Tyrann Mathieu on Monday. San Francisco is also in the middle of a defensive makeover after finishing 23rd in defensive DVOA. The team entered the offseason among the most salary-cap-flush teams in the football. On Monday, they signed former Tampa Bay Buccaneer Kwon Alexander to the richest deal ever for an inside linebacker. They also have the second overall pick in April’s draft, which has loads of pass-rushing talent. With head coach Kyle Shanahan and GM John Lynch entering their third year with the team and quarterback Jimmy Garoppolo returning from an ACL tear, the 49ers are clearly hoping to avoid another lost season. Sayles: It’s been teased and alluded to, but it now looks to be official: The New York Giants have traded star wide receiver Odell Beckham Jr., shipping him to the Cleveland Browns in a move first reported Tuesday by NFL Network’s Mike Garafolo. According to ESPN’s Adam Schefter, the Giants will receive the 17th overall pick and a third-round pick in this year’s draft, and safety Jabrill Peppers. The shocking move comes after weeks of rumors that the Giants were taking phone calls from teams interested in the 26-year-old. General manager Dave Gettleman had repeatedly brushed aside that talk, and six days ago he reiterated that the team didn’t sign Beckham “to trade him.” However, reports emerged on early Tuesday that an AFC North team was in discussions to acquire him. That team turned out to be the Browns. Beckham is a three-time Pro Bowler and one of the league’s transcendent stars. He caught 77 passes for 1,052 yards in 2018, even though he played in just 12 games. But as New York has struggled over the past two seasons, Beckham has occasionally let his frustrations show. In Cleveland, Beckham will join a young team that finished last season hot thanks in large part to its exciting offense. Under Freddie Kitchens, the then–interim offensive coordinator who was named the team’s head coach this offseason, no. 1 overall pick Baker Mayfield looked like a superstar in his own right. Now he gets to grow with one of the best receivers in the game. Odell Beckham Jr. is headed to Cleveland, @AdamSchefter reports. The Giants signed Beckham to a five-year, $90 million contract with $65 million guaranteed before last season. He’s due base salaries of $16.75 million for 2019 and $14 million in 2020, and the Browns have an out on the contract before the 2021 league year begins. Danny Heifetz: One day after Anthony Barr agreed to a deal with the New York Jets, and just hours after he was visited by the ghost of his future self imploring him to reconsider a life of 4-12 seasons and backpage covers on the New York Post, Barr has had a change of heart and is headed back to Minnesota, NFL Network’s Mike Garafolo first reported on Tuesday. This is possible because players technically cannot sign their contracts until 4 p.m. ET on Wednesday, and the two-day stretch leading up to the official opening of free agency is considered a “legal tampering” period in which teams and players can negotiate. Often when contract terms are agreed on, it’s considered a done deal even if the move isn’t official. Barr’s decision certainly adds some drama to the Jets’ offseason, which has been dominated by GM Mike Maccagnan making a series of huge free-agent signings to fill holes he’s missed on in the draft. NFL Network’s Ian Rapoport said Tuesday that Barr will sign a five-year contract with $33 million guaranteed. It could reach a maximum value of $77.5 million with incentives. The inside linebacker made the Pro Bowl in each of the past four seasons. However, the Jets had reportedly considered him more of an outside player who could rush the passer—similar to the role he played at UCLA before he was drafted ninth overall in 2014. The Jets have apparently used the money freed up by Barr’s change of heart to make one final offer to Le’Veon Bell. Former Bears safety Adrian Amos agreed to a four-year deal with a maximum value of $37 million, according to ESPN’s Adam Schefter. Former Broncos offensive lineman Billy Turner agreed to a four-year contract with a maximum value of $29.5 million, also according to Schefter. Former Washington pass rusher Preston Smith signed a four-year deal with a $16 million signing bonus worth at least $52 million across four years, according to NFL Network’s Ian Rapoport. Former Ravens pass rusher Za’Darius Smith also agreed to a four-year deal with the team with a maximum value of $66 million, according to Rapoport. On Tuesday, the team also released linebacker Nick Perry, its first-round pick in 2012 who was due nearly $5 million, while pass rusher Clay Matthews is a free agent. The guaranteed money has not been reported on any of the deals, which makes them hard to evaluate, but the talent will strengthen Green Bay’s defense in key areas. A year after struggling to get pressure on opposing quarterbacks, the Packers have added two solid pass rushers. Amos will offer strong safety play for a lower price than teams handed out to Landon Collins and Tyrann Mathieu this week, and he should fit well alongside the Packers’ talented young cornerbacks, Jaire Alexander and Josh Jackson, who they drafted in the first and second round last year. On offense, Turner is … fine, but Green Bay has struggled to keep its offensive line healthy and needs all the help it can get. Green Bay finally moved on from head coach Mike McCarthy this offseason to give the end of Aaron Rodgers’s tenure a jolt, and these move should liven up a defense that has struggled to produce consistently in recent years. Ben Glicksman: Teddy Two Gloves will remain with the Saints, NFL Network’s Jane Slater reported Tuesday. The Jets traded Bridgewater to New Orleans last August following the emergence of rookie QB/franchise savior/Practice Audible God Sam Darnold, and it appears that Bridgewater will work toward grooming himself to be Drew Brees’s eventual successor. Bridgewater’s last meaningful action came during the 2015 season, when he passed for 3,231 yards with 14 touchdowns and nine interceptions as a member of the Vikings. He went down with a gruesome injury just days before the start of the 2016 campaign, sparking a series of quarterback moves that altered the careers of Sam Bradford, Carson Wentz, Case Keenum, and Super Bowl legend Nick Foles. There had been speculation that Miami was targeting Bridgewater to be its starting QB in 2019, and NFL Network’s Ian Rapoport reported that the franchise may turn its attention to Tyrod Taylor. A quarterback went to the Saints instead of the Dolphins. It’s almost like this has happened before. Glicksman: What has five heads, loves dinosaurs, and could eat opposing quarterbacks alive during the 2019 season? If you guessed “the Browns’ defensive line rotation,” congratulations—you are both attuned to this free-agent market and extremely adept at picking up on context clues. Just days after trading for Olivier Vernon, the Browns have handed Sheldon Richardson a three-year, $39 million contract that includes $21.5 million in guarantees, according to ESPN’s Adam Schefter. Richardson racked up 47 total pressures last season, per Pro Football Focus, and has 23.5 sacks over his six-year professional career. The 28-year-old will join a defensive front that boasts Vernon, Myles Garrett, Larry Ogunjobi, and Emmanuel Ogbah. Put more simply: This is Cleveland’s defense now. The Browns always figured to be key players in 2019 free agency, given the massive reserves of cap space they had entering the offseason. Following this flurry of action, they could head into the fall as favorites to win the AFC North. The league’s longtime laughingstock suddenly seems to be making plenty of smart moves. What could possibly go wrong? Chris Almeida: Linebacker C.J. Mosley has agreed to sign a five-year, $85 million deal with the New York Jets, NFL Network’s Ian Rapoport reported Tuesday. Mosley, who was a four-time Pro Bowler in Baltimore during his first five years in the league, will lock in $51 million in guaranteed money. Both dollar figures will set a record for an inside linebacker. Mosely, 26, is entering the prime of his career and will be at the center of a newly bolstered defense in New York. New coordinator Gregg Williams’s unit now has two star linebackers in Mosley and former Viking Anthony Barr, who is set to sign with New York, and the Jets could add more support when they pick third in April’s draft. Justin Sayles: The Raiders will sign free-agent safety Lamarcus Joyner to a four-year deal, ESPN’s Adam Schefter reported on Monday. Full details of agreement have yet to be revealed. Joyner, 28, was franchise-tagged in 2018 by the Rams, who drafted him in the second round in the 2014 draft. While Pro Football Focus graded him as an above-average safety in 2018, his numbers took a noticeable dip from 2017—his interceptions dropped from three to one, and he defended only three passes compared with nine the year before. He also looked lost in coverage at times this past season, most notably in the NFC championship game, when he gave up a long pass to Ted Ginn Jr. late in the fourth quarter that put the Saints in position to win. Infamously, New Orleans did not, in part because of a pass-interference no-call on Nickell Robey-Coleman three plays later. While the Rams let Joyner walk, they signed 34-year-old safety Eric Weddle to a two-year deal with $5.25 million guaranteed. The expected signing of the 5-foot-8 safety is latest big splash by the Raiders, who signed Trent Brown to the largest contract for an offensive lineman in NFL history and, in what’s largely been viewed as coup for second-year head coach and de facto decision-maker Jon Gruden, traded for wide receiver Antonio Brown. It’s also another deal for a big-name safety following the reports of Landon Collins’s and Tyrann Mathieu’s agreements on Monday, meaning that this year’s glut of available players at the position doesn’t appear to be cooling the market for them. Heifetz: The Jets plan to sign free agent linebacker Anthony Barr, ESPN’s Adam Schefter reported Monday. Barr had been a stalwart inside linebacker for the Vikings since he was taken ninth overall out of UCLA in 2014. He made the Pro Bowl in each of the past four seasons, though the Jets may see him filling a different role than he did under Mike Zimmer in Minnesota. With the Vikings, Barr often haunted the A-gap of opposing centers and guards, but the Jets are reportedly planning on using him more as an outside linebacker who can cover and rush the passer, similar to how new Jets defensive coordinator Gregg Williams used Jamie Collins in Cleveland (perhaps he’ll have Jets safety Jamal Adams lining up by the parking lot like Jabrill Peppers did). Barr played closer to that style at UCLA, where he had 23.5 sacks over his final two seasons. In five NFL seasons he has combined for 13.5 sacks while occupying a starkly different role. The Jets are projected to have the second-most cap space as of Monday evening with roughly $80 million left to spend for 2019. The Athletic’s Conor Hughes, who reported the Jets’ initial interest in Barr last week, said Monday evening that team is still interested in Baltimore middle linebacker C.J. Mosley, who was taken one spot before the Jets’ pick in 2014. The Jets may see Barr and Mosley as two different players who would play different positions. Their interest in Mosley might spell the end for linebacker Darron Lee—who was drafted in the first round of the 2016 draft—in the middle of New York’s defense. The Jets have not drafted well under GM Mike Maccagnan, so perhaps they can fill the void in their roster (and their fans’ hearts) by burning through cash. Heifetz: The Kansas City Chiefs are expected to sign safety Tyrann Mathieu to a three-year deal worth up to $42 million, NFL Network’s Ian Rapoport reported on Monday. The amount of guaranteed money is still unknown. Mathieu provides the Chiefs with the secondary talent they desperately needed last season, when their pass defense was held together by timely sacks, duct tape, and the largest average lead per drive in pro football. Their best defensive back, Eric Berry, was not himself after rupturing his Achilles in 2017, and their best cornerback, Kendall Fuller (whom they wisely nabbed in the Alex Smith trade), suffered a wrist injury in December. Kansas City’s other main defensive backs—Ron Parker, Steven Nelson, and Orlando Scandrick—ranged from serviceable to shreddable. Mathieu can’t change their defense overnight, but he gives the Chiefs versatility. He can play traditional safety, play closer to the line of scrimmage and tackle well, or line up in the slot as the Chiefs try to transition Fuller to the outside. Kansas City cut pass rusher Justin Houston earlier this week to save $14 million in cap space, and now they’ve basically handed that amount to Mathieu on a deal nominally worth $14 million. I say “nominally” because Mathieu signed a five-year contract extension worth up to $62.5 million with $40 million “guaranteed” in 2016, but last year the Cardinals cut him just one year and $20 million into that contract. At this time last year, NFL safeties were getting little to no interest from teams, and Mathieu himself signed a one-year, $7 million deal with the Texans to try to get a better offer in 2019. He succeeded. Though he was just the 21st-highest-graded safety according to Pro Football Focus last year, his $14 million annual figure will be right with Landon Collins’s new deal as the highest in football at the position. Of course, the highest-paid safety by average annual salary before Monday was Berry. That’s a lot of money for one team to spend at safety, and if the defense doesn’t improve after giving up the second-most pass yards in the league last year, it is unconscionable. Heifetz: It looks like Suggs, Baltimore’s all-time leader in sacks, will no longer be a Raven. While there is no reported agreement in place, NFL Network’s Ian Rapoport said on Monday that Suggs would likely sign with the Arizona Cardinals. The Ravens drafted Suggs 10th overall in 2003 out of Arizona State (though he truly studied at Ball So Hard University for nearly two decades) and now Suggs could return to the Phoenix area for his 17th NFL season. (Suggs and Jason Witten are the only players from the 2003 draft who are still in the NFL.) Suggs is third all time in playoff sacks and is the active leader in sacks now that Julius Peppers has retired. Terrell Suggs had 132.5 sacks in his Ravens career, tied with Lawrence Taylor for the 3rd-most by any player with a single franchise, trailing only Bruce Smith with the Bills and Michael Strahan with the Giants. Suggs has still got a surprising amount left in the tank. He racked up seven sacks last season and 26 across his last three seasons. Since he tore his Achilles tendon and missed most of 2015, he has missed just one game. Despite turning 37 this October, he could provide a solid complement to Chandler Jones rushing off the edge. Suggs’s Twitter bio declares him to be “New King of the North,” but now that he is leaving the AFC North for the NFC West it is unclear whether he will rebrand as the Warden of the West. Tampa Bay has agreed to trade Jackson and a 2020 seventh-round pick to Philadelphia for a 2019 sixth-round pick, ESPN’s Chris Mortensen reported Monday. Jackson will get $13 million guaranteed in a restructured deal. Heifetz: Jackson appears to be on his way out of Tampa Bay, and his next stop could be a return to his first professional home. The 32-year-old receiver posted a thank-you note to Bucs fans on Instagram on Monday morning. And while ESPN’s Jenna Laine said that Jackson hasn’t been released yet, she and Tim McManus reported Sunday that Jackson wants to head back to Philadelphia—and that the Eagles have interest in a reunion. Jackson is owed $10 million in 2019, though Tampa Bay has the option to release him. He has reportedly wanted to leave the team since last season, and while the Bucs could trade him, he may not have much value to other teams if he would rather play for the Eagles. Jackson was cut by Chip Kelly in 2014, but Kelly is long gone, and Jackson could be exactly what the Eagles need in 2019. He could provide the vertical dimension Philly lacked last season when Mike Wallace broke his leg in Week 2 (against the Buccaneers, ironically). Two-tight-end sets might be in for the 2019 season, and the Eagles already have Zach Ertz and über-talented second-year player Dallas Goedert at tight end. Jackson’s speed would be a crucial element to pulling the Eagles offense together, but for Philly to hire Jackson, it might have to fire Nelson Agholor. Sayles: Nick Foles will sign a four-year, $88 million contract with the Jaguars that will make him one of the highest-paid quarterbacks in the NFL on annual basis, NFL Network’s Ian Rapoport and Mike Garafolo reported on Monday. Jacksonville is also expected to release quarterback Blake Bortles shortly after Foles signs. The Super Bowl LII MVP is guaranteed $50 million, while the total value of the deal could reach $102 million. He’ll make more annually than Tom Brady, Russell Wilson, Ben Roethlisberger, and Cam Newton. The deal comes after Foles declined his mutual option with the Philadelphia Eagles for 2019. While many expected the Eagles to franchise-tag Foles in hopes of trading him, the team declined to do so. With few quarterback-needy teams this offseason, some speculated that the Jaguars would sign him to a deal that wouldn’t make him one of the richest passers in the league. But by landing $22 million per year, Foles has apparently won this bet on himself. Bortles, the no. 3 overall pick in 2014, never lived up to his high draft position in Jacksonville. After a mediocre start to his career, he led the Jaguars to the AFC title game in 2017 on the back of a dominant defense, but the team went 5-11 last season, when Bortles was benched twice. The 26-year-old signed a three-year, $54 million extension with the team before the 2018 season, and the contract carries a $16.5 million dead cap hit if he’s cut before March 17. Heifetz: Like many Duke graduates, Jamison Crowder took a job in D.C. right out of college but is now moving to New York in his mid-20s. The jitterbug former Washington receiver will sign with the Jets once free agency opens, agreeing to a deal for three years with $17 million fully guaranteed and a maximum value of $28.5 million, according to NFL Network’s Mike Garafolo. Crowder faced big expectations in Washington after the fourth-round pick excelled as a rookie in 2015 with 59 catches for 604 yards, but he did not make the leap that many envisioned in the ensuing years. An ankle injury nagged Crowder for much of 2018, but the Jets are banking that Crowder will be much more productive in New York as an excellent receiver working intermediate routes in the middle of the field for second-year quarterback Sam Darnold. The Jets have boatloads of cap space, and are also reportedly eyeing former Vikings linebacker Anthony Barr. Sayles: One week after the Giants declined to use the franchise tag on safety Landon Collins, he’s set to sign with their division rival in Washington, NFL Network’s Ian Rapoport reported Monday. Collins will sign a six-year, $84 million deal with Washington once free agency begins Wednesday. He’ll be guaranteed $45 million, which will be paid out over the first three years of the contract. The 33rd overall pick by the Giants in 2015, Collins is a versatile player who can line up deep or inside the box. He doesn’t have elite speed, but he’s been exceptional when playing close to the line and defending the slot or underneath routes, and he can also match up with tight ends in man coverage. Collins is coming off a down year—2018 was the first of his career without an interception, and his four passes defended were the fewest he’s had—but at 25 years old, he could be a defensive cornerstone for Washington for years to come. Collins hit free agency after the Giants opted not to use the franchise tag on him, which would’ve cost $11.15 million for 2019. Now, he’s set to make $14 million annually for Washington. He’s the first domino to fall in this year’s loaded safety free-agent class, which also includes Earl Thomas, Tyrann Mathieu, Ha Ha Clinton-Dix, Adrian Amos, and a slew of other potential difference-makers. One year after free agents at the position struggled to land contracts that matched their performances, Collins’s deal may signal a more promising spring for safeties. Riley McAtee: Every team wants to be the Patriots, but the Lions are taking that goal a little more literally than most. In 2016, the franchise hired New England’s director of pro scouting, Bob Quinn, to be their general manager. Last year, they brought in Pats defensive coordinator Matt Patricia as head coach. On Monday, they agreed to sign former Pats and Dolphins wide receiver Danny Amendola and former Pats and Seahawks cornerback Justin Coleman. Now, ESPN’s Adam Schefter is reporting that the Lions will sign former Patriots defensive end Trey Flowers to a five-year deal (the value of the contract has yet to be reported). The 25-year-old pass rusher had one of his best seasons last year, picking up 7.5 sacks and 20 QB hits. Pro Football Focus gave him the sixth-highest grade among defensive ends. Flowers will help improve the Lions defensive line, which ranked 20th in Football Outsiders’ adjusted line yards and 27th in adjusted sack rate. There are plenty of former Patriots still on the market for the Lions to pursue, including wide receiver Chris Hogan, defensive tackle Malcom Brown, defensive tackle Danny Shelton, defensive back Jason McCourty, and kicker Stephen Gostkowski. But I’m already looking forward to the 2025 offseason, when the Lions will convince 47-year-old Tom Brady to come out of retirement for one more run. Sayles: The San Francisco 49ers will make free agent Kwon Alexander the highest-paid inside linebacker in league history with a four-year, $54 million deal that includes $27 million guaranteed, ESPN’s Adam Schefter reported Monday. Alexander was drafted by the Tampa Bay Buccaneers in the fourth round of the 2015 draft, and he made the Pro Bowl in 2017. Pro Football Focus graded him as an average defender for the 2018 season, though he played in only six games before tearing his ACL. The 24-year-old’s new contract will give him the highest average annual salary of any inside linebacker in the league at $13.5 million, surpassing Luke Kuechly’s $12.4 million. While the 49ers are inclined to spend because of a glut of cap space, Alexander’s contract should be welcome news to free-agent inside linebackers Jordan Hicks and C.J. Mosley, who will likely command more than the former Buccaneer. Heifetz: Like Danny Ocean sending Rusty to coax Saul out of retirement, the Philadelphia Eagles have nudged Peters off the fence by promising him a bag of cash. The Eagles’ longtime left tackle, who turned 37 in January, signed a one-year deal on Monday worth a guaranteed $5.5 million with a maximum value of $10 million, according to NFL Network’s Ian Rapoport. The restructured deal cuts the maximum amount of money Peters could have earned this season by $500,000. But under his old deal, he would have received $1 million for playing more than 80 percent of Philly’s snaps, another $1 million for playing more than 90 percent of Philly’s snaps, and an extra $500,000 for making the Pro Bowl, according to Spotrac. It’s unclear whether his new deal still involves incentives or whether the $10 million will simply come in the form of a bonus and salary. Peters has been Philly’s left tackle since 2009. The Eagles could have moved on from him given the cap space he was taking up and played Halapoulivaati Vaitai, who filled in for Peters during Philly’s Super Bowl run. But while Vaitai is massive at 6-foot-6 and 320 pounds, he doesn’t have fleet feet like Peters does, nor does Vaitai have the strength usually associated with someone his size, as the cheesesteak trader Mychal Kendricks told the Browns on Hard Knocks. Clearly, the Eagles are prioritizing protecting Carson Wentz now that Nick Foles is headed out of town. McAtee: It’s a good week to be Derek Carr. Less than 48 hours after the Raiders added Antonio Brown in a deal with the Steelers, Oakland is now poised to sign former Patriots left tackle Trent Brown in free agency. The reported four-year, $66 million contract includes $36.75 million in guarantees. That’s a record-breaking amount of cash for an offensive tackle. Last offseason the Patriots traded their third-round pick to the 49ers for a fifth-round selection and Brown, moving down a total of 48 spots in the draft to acquire a new lineman to protect Tom Brady’s blind side. Yet after just one season, the Pats elected not to franchise tag or re-sign the soon-to-be 26-year-old lineman, and will likely move forward with Isaiah Wynn—who they drafted 23rd overall in 2018 but who didn’t play after a season-ending Achilles injury in the preseason—at the left tackle spot. Brown played mostly on the right side of the offensive line in San Francisco and was pushed into the blind side role only after Wynn’s injury. It was thought that he could return to that side of the line with a new team in 2019. But the Raiders are paying him left tackle money—or, really, more than left tackle money. It’s another gamble for Jon Gruden and Mike Mayock in Oakland: While Brown is still young and has potential, he also graded out as tied for just the 32nd-best offensive tackle in football last season by Pro Football Focus. He’s far from a sure thing. Then again, the Raiders’ best offensive tackle graded out 76th (seventy-sixth!!) last year by PFF’s tracking. That was rookie Kolton Miller, who the Raiders selected with the 15th overall selection. The Raiders were desperate; without signing this Brown, Carr wouldn’t have the time in the pocket to get the football to the other Brown. Entering this offseason it seemed the Raiders were in the midst of a long-term rebuild. And they had no reason to be in any rush: With one more season before the team moves to Vegas, the Raiders’ timeline seemed focused on 2020, not 2019. With both Brown acquisitions, it’s clear that the Raiders don’t see it that way. They want to get good right now. Or if “good” is a stretch, it’s at least clear that they don’t want to be terrible for a moment longer. They’ll overpay to be just OK.
Heifetz: Defensive tackle Malik Jackson is expected to sign with the Philadelphia Eagles, ESPN’s Josina Anderson reported on Monday. The deal, which is not completed yet, is expected to be for three years and $30 million, according to Adam Schefter. Jackson signed a six-year deal worth $42 million guaranteed and up to $85 million with Jacksonville in 2016, but the team released him last week as part of a cap-clearing move to make way for Nick Foles’s likely arrival. The Eagles would put him alongside first-team All-Pro defensive tackle Fletcher Cox for a nightmarish duo on the interior in Philadelphia. If completed, the trade would be just the latest move along the defensive line this month for Eagles executive vice president of football operations Howie Roseman. The team signed pass rusher Brandon Graham to a three-year extension worth as much as $40 million guaranteed, declined an option for defensive tackle Timmy Jernigan, and traded pass rusher Michael Bennett to the Patriots for a late-round pick swap in 2020. The last move was surprising considering Bennett’s value to the Eagles defense last year, but bringing in Jackson would indicate that the Eagles are focused on pairing two star defensive tackles next to each other, as the Rams did last season with Aaron Donald and Ndamukong Suh. Almeida: Wide receiver Danny Amendola is set to sign with the Lions pending a physical, ESPN’s Dianna Russini reported Monday. The Dolphins opted out of the second year of his two-year, $12 million contract last week. Amendola, 33, is coming off a season when he made 59 receptions for 575 yards at an average of 9.7 yards per catch, all figures that came in below those he recorded during his healthy seasons in New England. In Detroit, Amendola will reconnect with head coach Matt Patricia and general manager Bob Quinn, who served as defensive coordinator and director of pro scouting, respectively, with the Patriots. The Lions’ quest to turn into the Patriots of the Midwest continues apace. Amendola will slot in next to Kenny Golladay and Marvin Jones Jr. in the receiving corps, filling the hole left by Golden Tate, who was traded to Philadelphia in October and is now a free agent. The terms of Amendola’s deal have yet to be announced. Heifetz: The Rams have re-signed pass rusher Dante Fowler Jr. to a one-year deal, according to ESPN’s Adam Schefter. Fowler, like Rams defensive tackle Ndamukong Suh, was set for free agency this week, but the Rams are keeping Fowler around for another Super Bowl run and letting Suh go. The details of the deal aren’t known, but it’s likely that Suh would have been more expensive to keep than Fowler. The team is also letting safety Lamarcus Joyner hit free agency, but it seems they’ve already replaced him after signing former Baltimore safety Eric Weddle. It was going to be tough to keep all the pieces of their defense together after handing Todd Gurley, Brandin Cooks, and Aaron Donald contract extensions last offseason and Jared Goff’s deal still looming on the horizon. The Jaguars took Fowler third overall in 2015 but he never lived up to the promise of his draft slot, despite his immense talent. Last offseason, the Jaguars declined his fifth-year option for the 2019 season, which made 2018 the final year of his deal. On October 30, 2018, the Rams sent third- and fifth-round picks to Jacksonville for Fowler to bolster their edge pass rush for their Super Bowl run—and it paid off (well, until the very end). Fowler played some of his best football for the Rams, notably against Dallas and New Orleans, two of the stronger offensive lines in the league. This free-agency period won’t see many pass rushers on the market; Kansas City’s Dee Ford, Seattle’s Frank Clark, Houston’s Jadeveon Clowney, and Dallas’s Demarcus Lawrence were all franchise-tagged by their respective teams. With Fowler now gone from that mix, the best pass rushers available are New England’s Trey Flowers, Washington’s Preston Smith, Detroit’s Ezekiel Ansah, and Kansas City’s Justin Houston, who was released earlier on Sunday. There are also some notable but probably washed talents like Terrell Suggs and Clay Matthews. Sayles: The Kansas City Chiefs are releasing four-time Pro Bowl linebacker Justin Houston after failing to find a team to trade for him and his $15.25 million 2019 base salary, ESPN’s Adam Schefter reported Sunday. Houston, 30, earned high marks in 2018 from Pro Football Focus while registering nine sacks and five forced fumbles. He becomes a free agent after spending his entire career with the Chiefs, who drafted him in the third round of the 2011 draft. Houston set the team’s single-season sack record in 2014 with 22. The move comes as the Chiefs are reportedly shopping linebacker Dee Ford, whom they franchise-tagged last week. Ford, who has been with the team since 2014, had a breakout season in 2018 as he accumulated 13 sacks and seven forced fumbles. However, the team finished the season 26th in defensive DVOA and fired defensive coordinator Bob Sutton after it lost in the AFC championship game. Sayles: Well, this one looks official: Antonio Brown is headed to the Oakland Raiders, the wide receiver announced on Twitter early Sunday morning. The Raiders will give the Steelers third- and fifth-round picks in exchange for Brown, ESPN’s Adam Schefter said. Oakland will also add money to Brown’s contract, which has three years remaining. Brown will be guaranteed more than $30 million and has the potential to earn more than $54 million with incentives. The Raiders Won the Antonio Brown Trade Sweepstakes. What Are the Ramifications? Oakland is likely also hoping to add star power and build a contender ahead of their planned relocation to Las Vegas, which is expected to happen in 2020. They also have three first-round picks in April’s draft to replenish their roster, which was the league’s oldest by average player age in 2018. The Steelers were motivated to trade Brown before March 17, when he’s due a $2.5 million roster bonus, but the trade will still create a salary cap hit of $21.1 million—the remaining portion of his prorated signing bonus—for his former team in 2019. The Raiders leapt ahead of other teams interested in Brown including Washington, Tennessee, and Buffalo, the last of whom said Friday it moved on from a potential trade after briefly discussing the parameters of one with the Steelers. According to multiple reports, Brown’s unwillingness to go to the Bills caused the negotiations to collapse. Oakland is acquiring the 30-year-old while he is under investigation by the NFL for an offseason incident involving the mother of his daughter, though no arrests were made and Brown has denied any wrongdoing through an attorney. He’s also facing two lawsuits for incident in which he threw furniture off a South Florida apartment balcony in April 2018. Weddle Reportedly Contemplated Retirement Before Settling on L.A.
Sayles: The Los Angeles Rams have agreed to a deal with free-agent safety Eric Weddle days after he was cut by the Baltimore Ravens, NFL Network’s Ian Rapoport reported on Friday. The two-time first-team All-Pro, who made the Pro Bowl in each of his three seasons with the Ravens, will sign a two-year contract with $5.25 million guaranteed. The deal is worth up to $12 million, including incentives. According to ESPN’s Adam Schefter, the 34-year-old briefly considered retirement before visiting with the NFC champion Rams on Thursday evening. Weddle started all 16 games for the Ravens last year, and while he had zero interceptions and just three defended passes, he earned high marks from Pro Football Focus. He could be an upgrade over safety Lamarcus Joyner, whom the Rams franchise-tagged in 2018. Joyner, 28, looked lost in coverage at times last year and gave up the long reception to Saints receiver Ted Ginn Jr. that preceded the infamous no-call on Rams corner Nickell Robey-Coleman in the NFC championship game. Correction: An earlier version of this post incorrectly referred to the Los Angeles Rams as NFL champions. They were NFC champs. Sayles: Danny Amendola will be the latest cap casualty in Miami, NFL Network’s Ian Rapoport reported on Friday. The wide receiver, who came to the Dolphins on a two-year deal last offseason after five years in New England, played 15 games in 2018 and caught 59 passes for 575 yards—figures that led a sluggish Miami offense. According to ESPN’s Cameron Wolfe, the Dolphins liked what Amendola brought to the team but didn’t see him as part of their rebuilding effort under first-year head coach Brian Flores. Cutting the 33-year-old former undrafted free agent will save Miami $6 million in cap space. The move follows the team’s decisions on Thursday to cut veterans Andre Branch and Ted Larson, which combined will create about $9 million in cap space. Sayles: After one season in Philadelphia, Michael Bennett is reportedly close to being traded to the New England Patriots, Adam Schefter reported on Friday. The move would bring a veteran contributor to New England’s defensive line, which could lose Trey Flowers after the team declined to franchise-tag the free-agent defensive end before this past Tuesday’s deadline. If finalized, New England would receive Bennett and a 2020 seventh-round pick in exchange for a 2020 fifth-rounder, Schefter said. Bennett, a three-time Pro Bowler with Seattle, was traded to Philadelphia last offseason for fifth- and seventh-round picks and receiver Marcus Johnson. Pro Football Focus rated him an above-average defender with a score of 75.9 in 2018 as he notched nine sacks. The Eagles are likely trading Bennett as part of their continued effort to free up cap space: The team entered the offseason $12.1 million over the cap, but executive vice president of football operations Howie Roseman has created room by restructuring Jason Kelce’s and Lane Johnson’s deals and declining the 2019 option on Timmy Jernigan’s contract. There’s one interesting subplot to watch with Bennett on the Patriots: the status of his brother Martellus, a tight end who won a Super Bowl with New England in 2017. The younger Bennett retired after being cut by the team last year and currently cohosts a show called Mostly Football for Yahoo, but he said in an Instagram video last month that he’d like to make a comeback with his former employer. (Schefter reported on Friday that sources said Martellus’s interest is real now that Michael is likely en route to New England.) The Patriots won a Super Bowl in February with both McCourty twins on the roster, so maybe there’s something to pairing siblings. The Steelers Make a Trade. No, Not That One. Sayles: Marcus Gilbert is set to begin his next chapter in Arizona, ESPN’s Adam Schefter reported on Friday. A 2011 second-round pick, the offensive tackle had spent the entirety of his career in Pittsburgh before the trade, which will become official when free agency begins next week. The Steelers will reportedly receive a sixth-rounder in return, Schefter said. Pro Football Focus rates the 31-year-old as an above-average tackle, which should help the Cardinals improve upon their woeful line play. Arizona finished last in the NFL in 2018 with a 55.8 team pass-blocking grade, and rookie quarterback Josh Rosen was sacked 45 times—the seventh-highest figure despite starting just 13 games. Of course, rumors and mock drafts have the Cardinals landing a much more mobile QB with the no. 1 pick in April, which could also alleviate some of those offensive line concerns. Heifetz: Jacksonville is expected to sign Foles when free agency begins next week, but first it is Marie Kondo–ing its roster to create the necessary cap space. The team is reportedly releasing running back Carlos Hyde, defensive tackle Malik Jackson, and safety Tashaun Gipson, which will create a combined $23.1 million in room. Hyde’s route to Jacksonville was strange. Cleveland drafted him in the second round of the 2014 draft, and then re-signed Hyde to a three-year deal with $8 million guaranteed in March 2018. The Browns traded him to Jacksonville in October, reportedly because offensive coordinator Todd Haley was giving the ball to Hyde too much and not second-round pick Nick Chubb or Duke Johnson. Hyde barely made a blip for Jacksonville, and releasing him saves the Jaguars $4.7 million in cap space. Hyde might be the bigger name, but Jackson is the more important player. Jacksonville signed him to a six-year, $85 million contract in 2016, but the team is releasing him three seasons and $45 million into the deal. The Jaguars defensive line was the most expensive position group in NFL history with Jackson, end Calais Campbell, and tackle Marcell Dareus. Dareus already restructured his deal with Jacksonville to save the team $5 million in cap space this year and make himself a virtual lock to be released next year, which will save Jacksonville $20 million in cap space. Gipson, a safety who signed a five-year, $36 million deal with Jacksonville in 2016, is being let go three years and $19.3 million into that deal. The 28-year-old is the latest talented safety to hit free agency in what is suddenly a loaded class. The combination of these moves clears the way for Jacksonville to acquire Foles. The team was projected to have the least cap space in football this offseason with a $12 million deficit before beginning to make roster moves. Now the team is projected to have almost $26 million of room, and releasing Blake Bortles would add even more. RIP, Blake; long live Nick Foles. Heifetz: The New York Giants have agreed to trade pass rusher Olivier Vernon to the Cleveland Browns for guard Kevin Zeitler, NFL Network’s Mike Garafolo and Ian Rapoport reported Friday. It’s a swap of two players who were given big contracts during the previous GM’s tenure that became unwieldy for the current GM, and it could be a win for both sides. Former Giants general manager Jerry Reese signed Vernon to a five-year deal with $52.5 million guaranteed in a last-ditch spending spree to rebuild the defense on the fly in 2016. It looked brilliant for one year, but injuries sapped Vernon’s play each of the past two seasons, and he never topped 8.5 sacks nor Giants fans’ expectations in a season. Vernon is owed $15.3 million, and the Giants would have incurred a $15.5 million cap hit if he remained on the team. By moving him, general manager Dave Gettleman opted to take a $8 million dead-cap hit this year while saving $7.5 million. In exchange, the Giants get Zeitler, who can help with Gettleman’s efforts to rebuild New York’s mess of an offensive line. The team signed left tackle Nate Solder, drafted guard Will Hernandez in the second round, and waived former first-round pick Ereck Flowers last year as part of the project, and now Zeitler might be the piece that will push the Giants line from below to above average—a welcome sign for Saquon Barkley and Eli Manning. Zeitler, who was wished a happy birthday by Cleveland on Friday shortly before the trade was reported, was given a five-year, $60 million contract from the Browns in 2017 that made him the highest-paid guard in the NFL at the time. That deal was handed out by then-GM and Process-truster Sashi Brown, but current GM John Dorsey likely wants Zeitler’s spot to go to Austin Corbett, the guard out of Nevada the Browns drafted with the 33rd overall pick last year. He’ll cost less over the next three seasons combined than Zeitler will cost by Thanksgiving. The Browns are saving money on the offensive line, but with over $81 million of projected cap space, they need to spend somewhere to hit the salary-cap floor, so by adding Vernon they can give star pass rusher Myles Garrett and Emmanuel Ogbah help on the line. Vernon wasn’t who the Giants expected as a no. 1 pass rusher, but he might be a perfect complement for Cleveland as the second-best option. Sayles: The Buffalo Bills seemed close to finalizing a trade for Pittsburgh Steelers wide receiver Antonio Brown, NFL Network’s Ian Rapoport reported Thursday evening. Early on Friday morning, however, ESPN’s Adam Schefter reported that any potential deal had fallen through. It is now being widely reported that negotiations broke down because Brown would not commit to the Bills franchise. “We had positive discussions, but ultimately it didn’t make sense for either side,” Buffalo general manager Brandon Beane told Schefter. “As great a player as Antonio Brown is, we have moved on and our focus is on free agency.”. The move would have capped a turbulent stretch for Brown and the Steelers. The four-time first-team All-Pro requested a trade this offseason after being inactive for the team’s Week 17 matchup against the Bengals for reportedly arguing with teammates and skipping several practices ahead of the game. After the season, Brown went public with several of his grievances, including his issues with quarterback Ben Roethlisberger, who Brown said “feels like he’s the owner” in an appearance on HBO’s The Shop this month. Buffalo was likely hoping the wideout would have injected life into a moribund offense. The Bills finished third in the AFC East in 2018 and were 31st in Football Outsiders offensive DVOA. Rookie quarterback Josh Allen looked effective as a runner, but completed just 52.8 percent of his passes for 2,074 yards. Meanwhile, the 30-year-old Brown has three years remaining on his contract, which is slated to pay him $38,250,000 in salary through 2021, though there’s a potential out after the 2020 season for whichever team he’s playing for. The Steelers remain motivated to trade him before March 17, when he’s due a $2.5 million roster bonus. He will count $19 million—the remaining total of his prorated signing bonus—against Pittsburgh’s cap whether he’s on the team’s roster or not. Brown has also called for a new deal with more guaranteed money. After he was reportedly “unwilling to go to Buffalo, period,” though, it’s unclear what the market for him looks like. Brown is reportedly under investigation from the NFL regarding a January domestic dispute involving the mother of his daughter, who told police that Brown pushed her after she refused to leave his doorway, according to a police department representative interviewed by TMZ. (Brown was not arrested in the incident and he has denied any wrongdoing.) Brown is also being sued by a man who says Brown nearly hit the man’s 22-month-old son with furniture and items that Brown threw from a 14th-story balcony, also first reported by TMZ. Brown has also denied wrongdoing in that incident. The trade saga that’s defined this offseason isn’t over just yet. Heifetz: Washington and Denver have agreed to the parameters of a trade for quarterback Case Keenum, according to Mike Klis of NBC 9 News in Denver. Klis reported on Thursday that the deal would involve swapping late draft picks and a slight change to Keenum’s contract. It seems increasingly likely that Alex Smith will not be ready to play at the start of 2019, if at all, after a spiral leg fracture last season that became infected after surgery. Washington head coach Jay Gruden told reporters at the NFL combine last week that he had confidence in returning quarterback Colt McCoy, but that he also had questions after the team’s backup for the past five years also broke a leg while replacing Smith. Keenum became dispensable in Denver when the team traded for Joe Flacco, and he would compete with McCoy to be the starting quarterback in Washington—one offseason after Kirk Cousins left Washington for Minnesota and displaced Keenum. It’s not a massive risk for Washington. Keenum would make $3.5 million from Washington this season, similar to the $3 million the team is paying McCoy, and both quarterbacks are on expiring contracts. (Denver would pay Keenum the other $3.5 million plus a $500,000 restructure bonus.) If Smith returns sooner than expected, perhaps the team can count on him again in 2020. 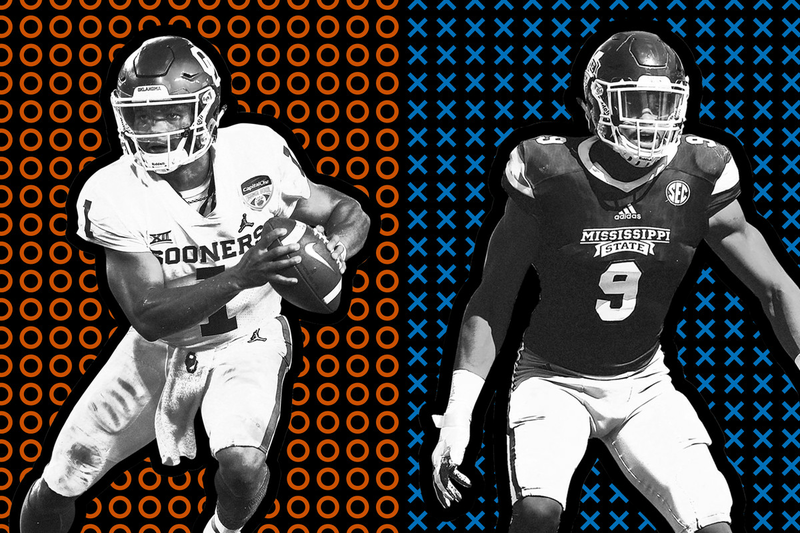 If not, the team can look to re-sign Keenum, or if Keenum stinks, the talented 2020 quarterback draft class looks promising as hell. Whatever happens, we know one thing: There’s a chance Colt McCoy that will never leave Washington’s friend zone. Sayles: The Chicago Bears were approached by several teams at the NFL combine about a trade for running back Jordan Howard, and discussions are “ongoing,” ESPN’s Adam Schefter reported Thursday. A trade could make sense for the Bears, who failed to fully integrate the 24-year-old former Pro Bowler into first-year head coach and play-caller Matt Nagy’s offense. After rushing for more than 1,100 yards in 2016 and 2017, Howard had just 935 yards on 3.7 yards per attempt to go with 145 yards receiving on 20 receptions. Meanwhile, his backfield mate Tarik Cohen earned first-team All-Pro honors largely because of his work in the passing game—he rushed for just 444 yards but caught 71 passes for 725 yards. Howard, who is set to make just over $2 million in 2019, would be an unrestricted free agent after the season. Chicago was reportedly offered a third-round pick for him before the 2018 trade deadline by a team in the playoff hunt, but declined despite not having their first- and second-round draft picks in April. Howard would likely fetch similar value this offseason, and he could be a good alternative for teams that miss out on top-of-the-market running back free agents Le’Veon Bell, Tevin Coleman, and Jay Ajayi. Heifetz: The winner of the Antonio Brown trade sweepstakes is expected to be announced by Friday, according to a report from ESPN’s Adam Schefter. Three new teams have entered the running, while the Jets and Cardinals have dropped out, NFL Network’s Ian Rapoport reported. It’s not surprising to see Gang Green fall out of contention. The Jets traded three second-round picks to move up from no. 6 to no. 3 in the 2018 draft and selected quarterback Sam Darnold. They likely lacked the draft capital to compete with potential Brown suitors such as the Raiders, who have four of the top 35 picks in this spring’s draft and have been pegged as the front-runner to land the seven-time Pro Bowler and undisputed best blond-mustachioed receiver of all time. Brown has long prided himself on being a Gruden Grinder (well, at least I think), and this week QB Derek Carr told the Fresno Bee that he hopes the Raiders can complete a deal. The Cardinals, meanwhile, may be exploring other trades. So where will AB land? And who are these three mystery teams? Steelers general manager Kevin Colbert told ProFootballTalk over the weekend that determining the strength of this draft class at the combine would be a big factor in the franchise’s decision-making process. Colbert suggested that Pittsburgh could change its asking price based on execs’ evaluations of 2019 prospects. That could also shape the packages that certain teams—the 49ers? Colts? Packers?—are willing to offer. Brown mentioned in an interview with ESPN’s Jeff Darlington that he thought he’d be moved by St. Patrick’s Day, because that’s when he’s due a $2.5 million roster bonus, and the Steelers would presumably prefer for his next team to pay that figure. But ProFootballTalk reported last week that the $2.5 million could be paid in installments during the 2019 season and that March 17 didn’t necessarily have to be a firm deadline. Following the latest round of reports, though, it seems that this offseason’s great Brown saga may conclude in the next 48 hours. Expect the team that agrees to a trade to be revealed on a masked-singer show Friday night. Heifetz: The Baltimore Ravens released safety Eric Weddle on Tuesday, according to NFL Network’s Ian Rapoport. Weddle was entering the final year of a four-year, $26 million contract he signed with Baltimore in 2016 after spending nine seasons with the Chargers. He has been one of the best and most reliable safeties in the league, and though he turned 34 in January, he has started 170 of 176 regular-season games in the past decade, including all 48 since he arrived in Baltimore. His release marks the first tough decision made by new general manager Eric DeCosta, who became just the second GM in Ravens franchise history when he replaced the legendary Ozzie Newsome this offseason. The move frees up $7.5 million in cap space, which might help Baltimore re-sign inside linebacker C.J. Mosley. The Ravens did not place the franchise tag on Mosley before Tuesday’s deadline, but they may still hope to strike a deal before free agency begins next week. Weddle (plus his spectacular and slightly horrifying beard) is the latest addition to what is suddenly a loaded group of free-agent safeties. Seattle’s Earl Thomas, New York’s Landon Collins, Arizona’s Tyrann Mathieu and Tre Boston, the Los Angeles Rams’ Lamarcus Joyner, Washington’s Ha Ha Clinton-Dix, and Tennessee’s Kenny Vaccaro are all set to hit the open market. The flood comes a year after a number of big-name free agents at the position had trouble finding contracts that paid them what they thought they were worth. Heifetz: The New England Patriots are Patriots-ing. Adam Schefter and Field Yates reported that, barring any late changes, New England plans to let defensive end Trey Flowers, tackle Trent Brown, and kicker Stephen Gostkowski hit free agency rather than use the franchise tag on them. This news doesn’t mean all three are leaving. Gostkowski, New England’s kicker since 2006, was franchise-tagged in 2015 and went on to eventually sign a four-year deal, which expires this month. Gostkowski has been shakier than his reputation would indicate, missing an extra point or field goal in each of the Patriots’ last three Super Bowl appearances. It would not be surprising to see the Patriots re-sign Gostkowski within the next week, but if they don’t, those misses might have something to do with it. Flowers would be a bigger loss. He’s the perfect Patriot, but could also command the kind of contract in free agency that New England has historically declined to match, especially considering pass rushers Jadeveon Clowney, Dee Ford, Demarcus Lawrence, and Frank Clark have all received the franchise tag from their teams. That leaves Flowers as the best pass rusher available, and where other teams may see a player who is worth up to $50 million, New England may see a player they drafted no. 101 overall in 2015 as one that can be replaced by one of their six (!) draft picks inside the top 101 this year. Trent Brown will be one of the top tackles available now that Donovan Smith re-signed with Tampa Bay. Brown is not nearly as consistent as Flowers, and he won’t be as hard for the Patriots to replace (Brown gave up the second-most quarterback hits of all tackles in 2018, according to Pro Football Focus). The Pats acquired Brown from the 49ers last season as a cheaper replacement for Nate Solder, who signed with the Giants in free agency. Teams chasing a left tackle might be wise to pursue a similar strategy instead of paying Brown big money. Heifetz: The Tampa Bay Buccaneers have re-signed tackle Donovan Smith to a three-year deal with $27 million guaranteed at signing that could be worth as much as $41.3 million, NFL Network’s Mike Garafolo reported Monday. Smith was drafted 34th overall in 2015 and has started every game since he entered the league. Of the 49 tackles who played 800 or more snaps in 2018, Smith was graded 32nd by Pro Football Focus in pass protection and allowed the fourth-most pressures in that group. He’s not an elite player, but he’s consistently on the field and serviceable, which is enough to get paid to block on the outside. The Buccaneers are changing their offense with new head coach Bruce Arians taking over and offensive coordinator (and Grit Legend) Byron Leftwich on the sidelines. Arians’s offenses have traditionally targeted receivers deep downfield, which requires the pass protection to give the quarterback enough time in the pocket for plays to develop. After Donovan Smith and his family, the person happiest to hear this news might be Miami Dolphins free agent Ja’Wuan James, who will be the best tackle in free agency. James has not played like an elite tackle, but he could be in line to get a massive contract from a pass-protection-needy team. (Nate Solder, for example, landed a five-year contract with $34.8 million guaranteed from the Giants last offseason.) After James, the best tackles left are New England’s Trent Brown and, well, a lot of guys you probably don’t want as your starting left tackle no matter the price. Heifetz: The Kansas City Chiefs will use the franchise tag on Dee Ford, ESPN’s Dan Graziano reported on Monday. The franchise-tag value for an outside linebacker this year is $15.4 million. Unlike other talented defenders who were reportedly tagged on Monday—Jadeveon Clowney, Demarcus Lawrence, Frank Clark, and Grady Jarrett—there’s a serious chance Ford could be traded rather than suit up for the Chiefs next year, as ESPN’s Adam Schefter reported on Saturday. NFL Network’s Ian Rapoport confirmed on Monday that a Ford trade was still a possibility. Kansas City’s defense gave up the second-most passing yards in the league last season, but that could largely be blamed on their offense. The Chiefs defense took the field with an 8.13-point lead on average, the highest mark in the league, and teams often abandoned their game plan and began passing earlier than usual in an attempt to make up the deficit. That would seem to be an argument for keeping their second-most prolific pass rusher, but there’s also an argument for selling high on Ford. He had a career-high 13 sacks in a season in which he could rush the passer without worrying about stopping the run because of the score. But racking up 13 sacks for the 2018 Chiefs may be the football equivalent of being the fifth starter for the Warriors: Many players might be able to put up similar numbers in a perfect situation. With the Chiefs transitioning to a 4-3 base defense under new coordinator Steve Spagnuolo, who replaced longtime defensive coordinator Bob Sutton in February, it’s unclear whether Ford will be a great fit, plus there’s a chance he caught lightning in a bottle in 2018. Factor in that Patrick Mahomes II and Tyreek Hill are all still on their rookie deals and could command record contracts at each of their positions soon, and it’s easy to see why the Chiefs are hesitant to commit in the long term. The Ford trade rumors come after Kansas City had reportedly been shopping fellow pass rusher Justin Houston. Houston led the league with 22 sacks in 2014 but has just 30 sacks in the four seasons since, as he’s struggled to fully recover from a 2015 knee injury. When healthy, Houston is still an excellent (if no longer elite) pass rusher, but his $21.1 million cap hit this season makes it tough to for Kansas City to keep him. On Monday, Matt Verderame of FanSided reported that the Chiefs were releasing Houston, but NFL Network’s Tom Pelissero reported that was not the case—at least, not yet. Releasing Houston would save the Chiefs $14 million in cap space. If the team does part with Houston, it may be wise to hold onto Ford to preserve at least some of the pass rush that kept its defense respectable. If the Chiefs end up trading Ford and releasing Houston in the same offseason, perhaps they have their eyes on one of the many pass rushers in this year’s NFL draft as a replacement—or think they can score so many points in 2019 it won’t matter. Heifetz: The New York Giants are not expected to tag Landon Collins and will let him become a free agent, NFL Network’s Kimberly Jones and Ian Rapoport reported on Monday. Giants general manager Dave Gettleman, who was hired last offseason, said at a press conference last week that using the franchise tag would be a headache. It would be surprising for the Giants to not try to retain Collins considering they have already floated moving on from pass rusher Olivier Vernon. Releasing Vernon would create $11.5 million in cap space that would cover all of Collins’s $11.3 million price in 2019. It’s also shocking considering the team traded a fourth-round pick to the Rams last season for Alec Ogletree, who has the third-highest average salary ($10.7 million) in the NFL for inside linebackers, but was the 81st highest-graded linebacker by Pro Football Focus. If Collins does leave, the only player the Giants drafted between 2011 and 2015 still on the team would be Odell Beckham Jr. The Giants traded up to the first pick of the second round in 2015 to draft Collins, a national champion under Nick Saban at Alabama. Collins overcame pre-draft concerns about his coverage skills to become a first-team All-Pro and Defensive Player of the Year candidate in 2016. In 2018, Pat Shurmur’s first season as Giants head coach, Collins was named a team captain. Gettleman shocked the football world as GM of the Panthers in 2016, when he rescinded the franchise tag of cornerback Josh Norman, a reigning first-team All-Pro. When Gettleman was fired from the Panthers in 2017, many former Panthers players were happy to stomp on his grave on social media. Heifetz: The Seahawks have franchise-tagged defensive end Frank Clark, Sports Illustrated’s Albert Breer reported on Monday. Clark and the Seahawks will have until July 15 to reach a long-term deal or else Clark will play under the $17.1 million tag price for defensive ends in 2019. That one-year salary would be more than four times as much as Clark has made in his career to date. Clark has the same number of quarterback hits since 2016 as Khalil Mack, who was named Defensive Player of the Year and signed the biggest contract in NFL history for a defender in that span. Clark is coming off a career year with 13 sacks, 27 quarterback hits, and three forced fumbles. With Earl Thomas set to leave in free agency, Clark and linebacker Bobby Wagner are the defenders the Seahawks are counting on this year. Clark’s 13 sacks led the team, and while Jarran Reed is a promising player who had 10.5 sacks in 2018, no other Seahawk had more than three. The team traded away defensive end Michael Bennett to the Eagles last offseason, and last week, the team released 2017 second-round draft pick defensive tackle Malik McDowell, who suffered serious injuries from an ATV accident before his rookie season and never played for the team. By keeping Clark, Seattle is ensuring it will have a suitable pass rush in 2019. Clark was drafted by Seattle in the second round (no. 63 overall) in 2015. He was considered a first-round talent, but fell during the draft in part because of a 2014 incident at a hotel for which he was charged with first-degree misdemeanor domestic violence. That charge was dropped when Clark reached a plea agreement that allowed him to plead guilty to disorderly conduct. Heifetz: The Falcons have franchise-tagged defensive tackle Grady Jarrett, NFL Network’s Tom Pelissero reported on Monday. Jarrett had little chance of reaching free agency after emerging as one of the league’s best—and most undervalued—defenders. Taken in the fifth round of the 2015 draft, he tied for the fourth-highest-graded interior defender in 2018, according to Pro Football Focus. General manager Thomas Dimitroff has said this offseason that it is a priority to sign the team captain to a long-term deal. The 2019 franchise tender for defensive tackles is expected to come in at $15.2 million. Atlanta has a lot of young, talented defenders who will need big contracts soon, including linebackers Deion Jones and De’Vondre Campbell and safety Keanu Neal (likely one of the reasons the team is expected to let running back Tevin Coleman go in free agency). The team is negotiating with Jarrett to keep the Georgia native in town—and also to set the precedent for the rest of their core players’ negotiations. Sayles: The Dallas Cowboys plan to use their franchise tag on defensive end Demarcus Lawrence, NFL Network’s Ian Rapoport reported on Monday. The news comes one day before the deadline for teams to use their tags. This would mark the second consecutive year the Cowboys have tagged Lawrence, which means he would be in line to make $20.5 million for the 2019 season. The team would have until July 15 to negotiate a long-term contract with Lawrence. While Dallas COO Stephen Jones said last week that he was confident the two sides would reach an agreement on a multiyear deal, The Athletic’s Calvin Watkins reported that they were “far apart” on Monday. Lawrence, a second-round pick by the Cowboys in 2014, led a resurgent Dallas defense with 10.5 sacks in 2018. How to handle his contract is just one of several key decisions the team may have to make this offseason, as quarterback Dak Prescott, running back Ezekiel Elliott, and wide receiver Amari Cooper are all set to play on deals that expire after this coming season. Heifetz: The Houston Texans placed the franchise tag on outside linebacker Jadeveon Clowney on Monday. The two sides will have until July 15 to work out a long-term contract. If a deal hasn’t been reached by then, Clowney will sign the franchise tender and play on a one-year guaranteed deal in 2019. The franchise tender for linebackers is set at $15.4 million, though Clowney reportedly will make slightly more. (He could opt not to sign the tender, à la Le’Veon Bell, but he will almost certainly not go that route.) The Texans are placing a nonexclusive tag on Clowney, which means he can sign a long-term offer with another team and the Texans would have the right to match. If the Texans were to decline to match an offer from another team, they’d receive two first-round draft picks as compensation. It’s highly unlikely another team would part with two first-rounders to sign Clowney to a massive contract; the Bears offered two first-rounders for Khalil Mack (who went four spots after Clowney in the 2014 draft) in a more traditional trade last September before signing him to a $141 million extension. Clowney has been a strong defender for Houston but has fallen short of the world-wrecking expectations he entered the league with after being drafted no. 1 overall in 2014 out of South Carolina. He has never had more than 9.5 sacks or forced more than two fumbles in a season. Clowney played in 17 of 33 possible games in the first two years of his career (including the playoffs) but has suited up for 48 of the 51 possible games in the past three seasons. Murray’s rise from baseball prospect to NFL draft curiosity to possible no. 1 pick is happening quickly. His measurements at the combine dispelled some doubts about his stature, and he impressed during his interviews. The Heisman Trophy winner is expected to participate in a full workout at Oklahoma’s pro day March 13. If the Cardinals do look to trade Rosen, Washington would make sense as a destination. It’s unclear whether Alex Smith will be available in 2019 after suffering a spiral leg fracture last year, and, even if he is healthy, he’ll be 35 this season. Rosen is a young, promising quarterback who might be available for a discount, which is everything Washington could ask for given its situation. Peter King reported Monday that the Cardinals might not get more than a third-round pick in return for Rosen, though they would almost certainly ask for (and get) a better price than that a year after giving up a third- and fifth-rounder to move up five spots to draft Rosen. It’s possible that Arizona is fueling these reports because it wants to trade down from no. 1 and raise the price for teams interested in Murray. It’s also possible that it’s unexpectedly stumbled into its franchise quarterback and Rosen is collateral damage. Sayles: Super Bowl LII MVP Nick Foles is expected to sign with the Jacksonville Jaguars once free agency begins, The Philadelphia Inquirer reported Sunday. Despite speculation that teams such as Washington and Miami may have interest in the 30-year-old quarterback, Jacksonville appears to be the only team vying for his services, the report said. The details of the contract are still being worked out, but it may not make Foles one the league’s richest quarterbacks, as a lack of QB-needy teams has meant that a market has yet to fully materialize for him. In Jacksonville, Foles would be reunited with offensive coordinator John DeFilippo, who was the Eagles’ quarterback coach during his legend-making playoff run two seasons ago. Assuming the deal gets done, Jacksonville will be hoping for a vast improvement over last year’s disappointing finish. The Jaguars went 5-11 in 2018 just one year after making the AFC championship game. The defense that anchored that run remains largely intact, but Blake Bortles and the offense regressed mightily last year, dropping from 16th to 30th in Football Outsiders’ DVOA. Bortles, the third overall pick in 2014, was benched twice last year for Cody Kessler. Heading into this offseason, neither was seen as a viable starter for the Jaguars, making them a logical destination for the soon-to-be-former Eagle. Foles, who began his career in Philadelphia in 2012 and spent time with the Rams and Chiefs before returning to the Eagles as a backup in 2017, effectively became a free agent when he declined to exercise his $20 million mutual option with the team. While some expected the Eagles to franchise-tag Foles in hopes of trading him, Howie Roseman said last week the team wouldn’t. Foles leaves the Eagles after replacing starting QB Carson Wentz for significant portions of the past two seasons, leading them into the postseason each time. In addition to helping the franchise win its first Super Bowl title in February 2018, he led the Eagles this past season to the divisional round of the playoffs, where they fell to the Saints. He’ll be best remembered for the Philly Special play, which inspired a statue outside of Lincoln Financial Field and countless tattoos. What Should We Look Out for in the Coming Weeks? February was a one-team show, but March should be a leaguewide affair. The 2019 salary cap is projected to come in just shy of $190 million, the highest figure ever. Indianapolis’s projected available cap space this offseason ($106 million) is higher than the total salary cap when the team won the Super Bowl after the 2006 season ($102 million). Every team has so much money to play with that they can make any signing or trade possible, no matter how burdensome their cap situation may seem. Subsequently, general managers and coaches around the league are more willing to gamble in the trade market. Add those two ingredients together—flexibility and risk-taking—and the NFL offseason is as wide open as ever. Keep that in mind for these top stories to watch over the next few weeks. Will Antonio Brown be traded? Antonio Brown has made it clear he wants to play somewhere else. Steelers general manager Kevin Colbert didn’t even rule out trading Brown within the division if that was the best offer on the table. Where will Le’Veon Bell sign? Bell forfeited $14.5 million by refusing to play on the franchise tag for a second consecutive year and sitting out the 2018 season. But he avoided another 400-touch season and ensured he’d be healthy for free agency. Now we can see if it was worth all of the trouble—and anxiously await the release of his latest album. How will the rest of the free-agent dominoes fall? With Philly’s real-life Rocky, Foles, apparently set to go to Jacksonville, attention will turn to the rest of this year’s class, which includes defensive tackle Ndamukong Suh, safety Earl Thomas, safety Tyrann Mathieu, running back Mark Ingram, receiver Golden Tate, linebacker Anthony Barr, running back Tevin Coleman, pass rusher Terrell Suggs, pass rusher Clay Matthews, receiver Randall Cobb, receiver Michael Crabtree, and running back Adrian Peterson. Will Rob Gronkowski retire? Gronk’s agent, Drew Rosenhaus, told ESPN on February 19 that Gronk’s decision may come in the next couple of weeks, though Gronk seems to live by his own schedule. He’s one of the few NFL players we can count on to stay in our feeds after he stops playing. Who will sign contract extensions? Russell Wilson, Dak Prescott, and A.J. Green will all be unrestricted free agents after the 2019 season and could be in line for massive contract extensions with their teams. Pass rushers Jadeveon Clowney, Demarcus Lawrence, and Dee Ford may be franchise-tagged, and they could sign large deals as well with their teams in the coming months. Will we have any drastic rule changes? Despite the Saints pass-interference debacle in the NFC championship game, owners are unlikely to change replay rules. But after the Chiefs lost the AFC championship game when they didn’t get the ball in overtime, the franchise will propose an amendment to granting both teams a possession in OT. Tuesday, March 5: The deadline for teams to franchise tag players. Wednesday, March 13: The new league year officially begins at 4 p.m. ET. Free agents can be signed and trades, like the one of Joe Flacco to the Denver Broncos for a fourth-rounder, are officially processed. Thursday, April 25–Saturday, April 27: The NFL draft takes place in Nashville, Tennessee.